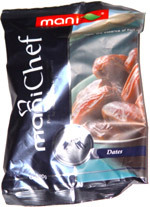 Taste test: This bag contained large dates, each well over an inch long. The taste was good upon biting in, but they were so sweet and so intense that I really couldn't eat more than one bite. Dates are great when cut into pieces and mixed with granola, but on their own, these were just too sweet to snack on. Smell test: Mild dates smell. 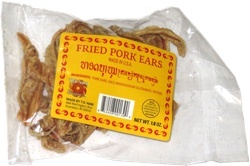 This snack was discovered by Michael Reilly in Iran. Review published .